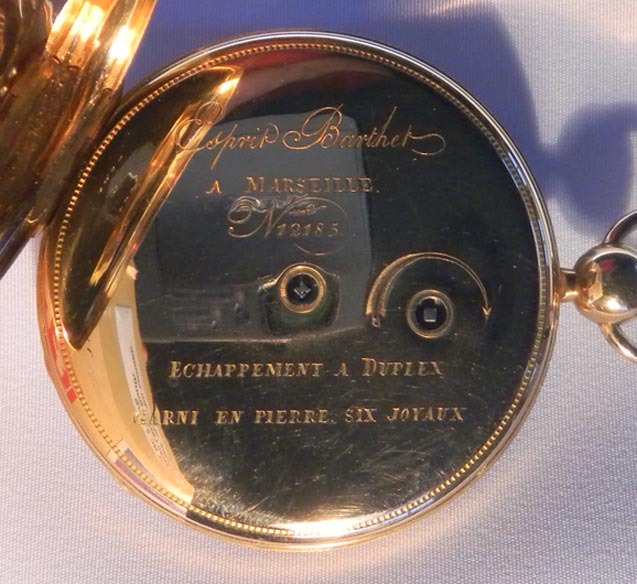 Fine and handsome large French Breguet style 18K gold ruby duplex antique pocket watch by Esprit Barthet a Marseille circa 1830. 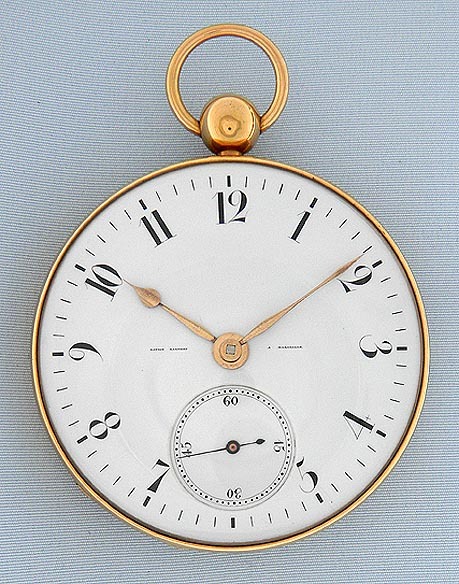 Fine white enamel dial (2 clean hairlines) with Breguet style numerals, tiny signature, and gold and blued steel hands. 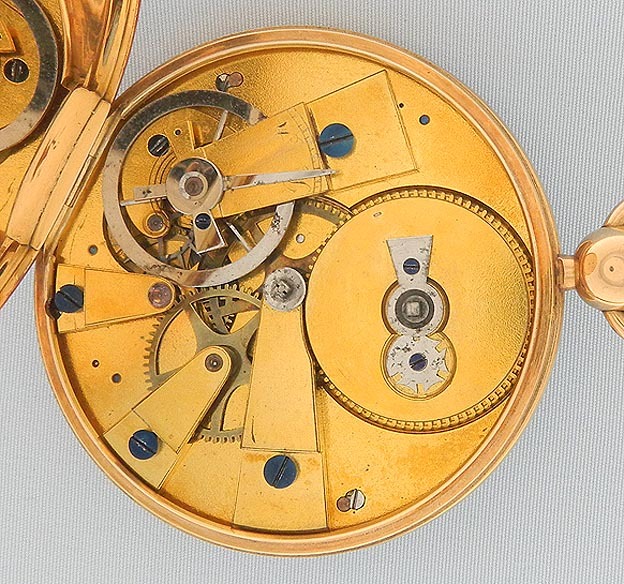 Heavy engine turned case with some edge wear. 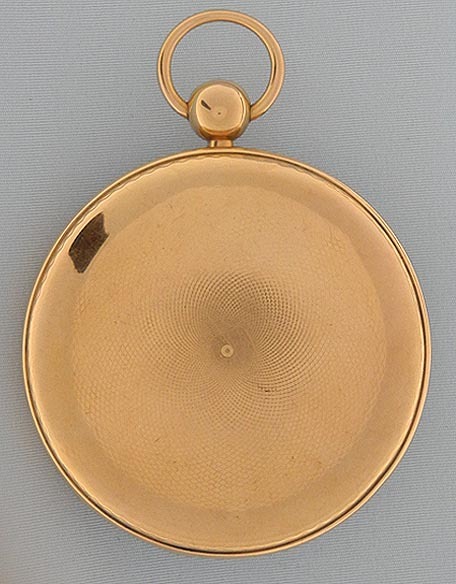 Gilt 6 jewel movement with flat steel balance and ruby duplex locking jewel.